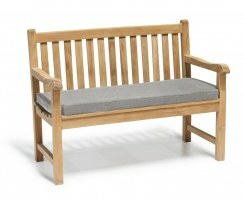 2 seater bench cushions provide a finishing touch for small garden benches. These two seater bench cushions are finished with easy ties in some cases, and zip-fastenings allow for easy removal and cleaning of the cover. 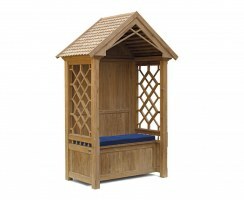 These patio furniture cushions are available in natural/ecru, raven black, forest green, navy blue or taupe. Incorporate these 4ft bench cushions to offer a real sense of style and luxury. These 2 seater bench cushions are made from fade and water-resistant polyester with luxury foam fillings for supreme comfort. 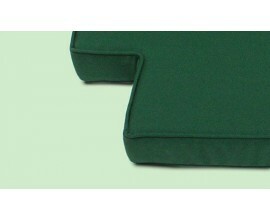 These two seater bench cushions are finished with zip fastening to allow for easy removal and cleaning of the covers. These 4ft bench cushions are the perfect finishing touch for your garden furniture. We also manufacture bespoke, made-to-measure cushions on request – call us on 02086556240 to discuss.